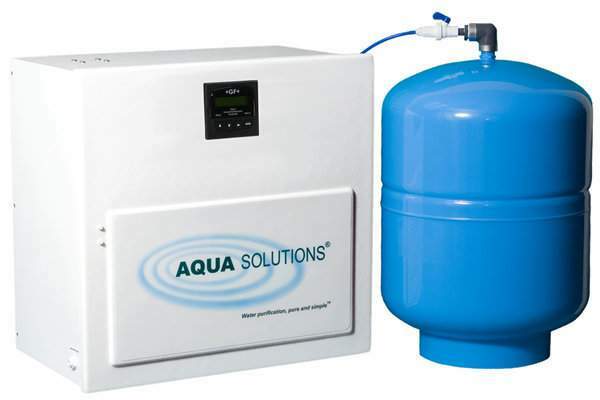 AQUA SOLUTIONS Reverse Osmosis (RO) Pretreatment Systems are available with RO production rates of 10-60 Liters/Hour for our standard bench top systems and 1-2 gallons/minute for High Capacity frame mounted systems. The systems remove 95-99% of the contaminants in tap water, representing a cost-effective technology for pre-treating tap water prior to final purification by a DI system. They operate on tap water with up to 1,000 PPM total dissolved solids and most systems include built-in pre-filters. A variety of storage tank options are available including pressurized tanks that prevent the risk of airborne contamination and eliminate the need for additional feed pumps. I would like to request a quote for Reverse Osmosis("RO").